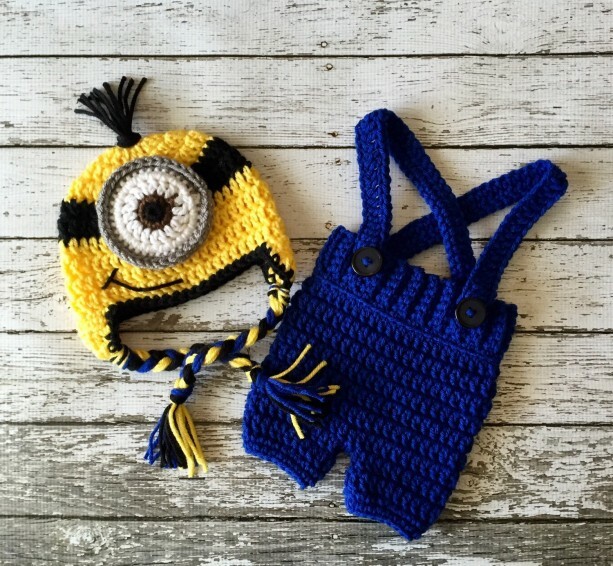 Your little one will look adorable in this minion beanie and shorts diaper cover. It is made from soft acrylic yarn. 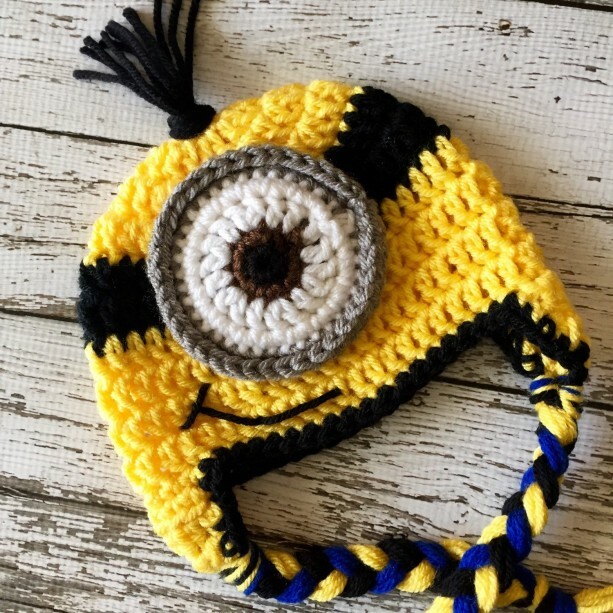 All of the parts are securely sewn to the beanie. The shorts have removable/adjustable suspenders. 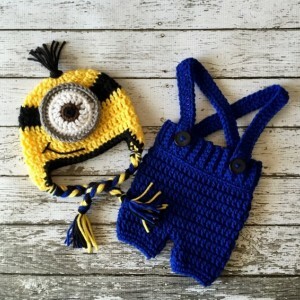 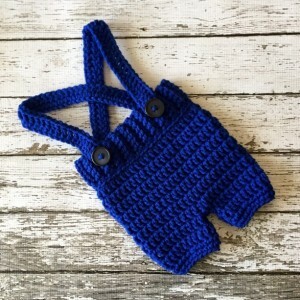 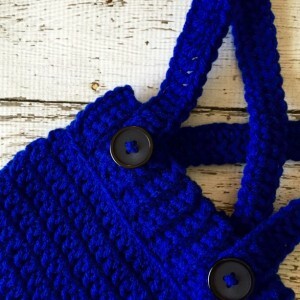 This set is perfect for professional photographers or as a baby shower gift! 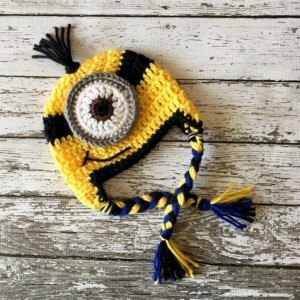 Color: Yellow, Black, Blue, White, and Brown Material: Acrylic Yarn Size: Newborn 0-3 Months All my items are made in a smoke and pet free home. Care instructions: Hand wash in cold water & lay flat to dry.